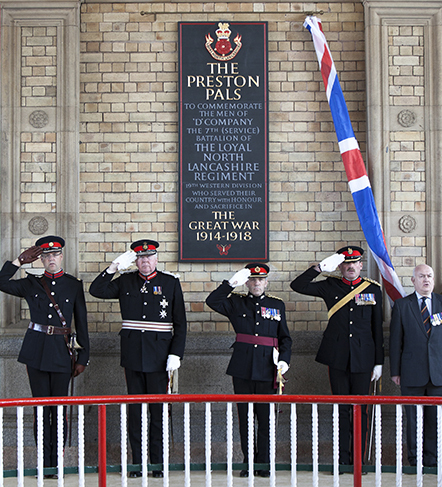 The Preston Pals War Memorial was installed on Preston Railway Station in July 2012. 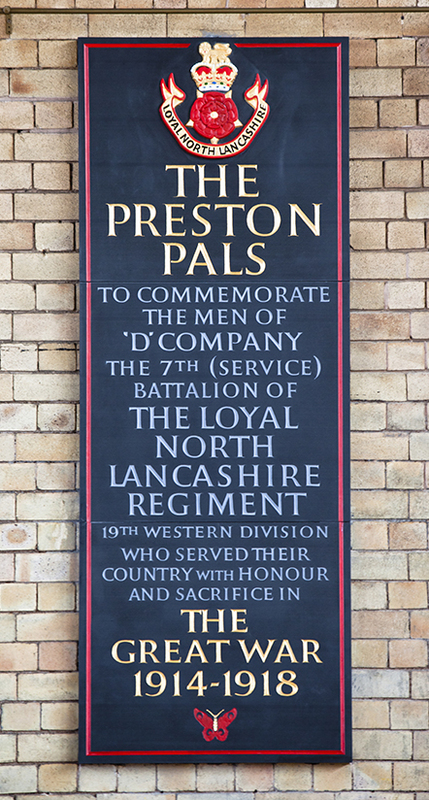 Situated between platforms 3 & 4, it honours the men who volunteered to fight in World War One within 7th Battalion, the Loyal North Lancashire Regiment (now part of the Duke of Lancaster’s Regiment). Until the plaque was put in place there was no official Memorial to the Preston Pals, so a board of trustees was created by Andrew Mather to honour the men who left from Preston Railway Station on their fateful journeys. The Memorial in position on Preston Railway Station.